Today's Famous Food Friday features rock stars of old...some of them still rocking today. Cool Cooking by Roberta Ashley was published in 1972 by the Scholastic Book Service. It was a draw for YA rocker who liked to cook as well as rock. How old is this book? So old that The Honey Cone was giving the Supremes a run for their money. So old that Elton John was straight. So old that that Michael Jackson was black, not to mention alive. So old that Paul McCartney was a carnivore. and this winner from George Harrison. Slice a ripe banana lengthwise and lay it on a piece of bread. If you like, you can spread the bread with peanut butter. 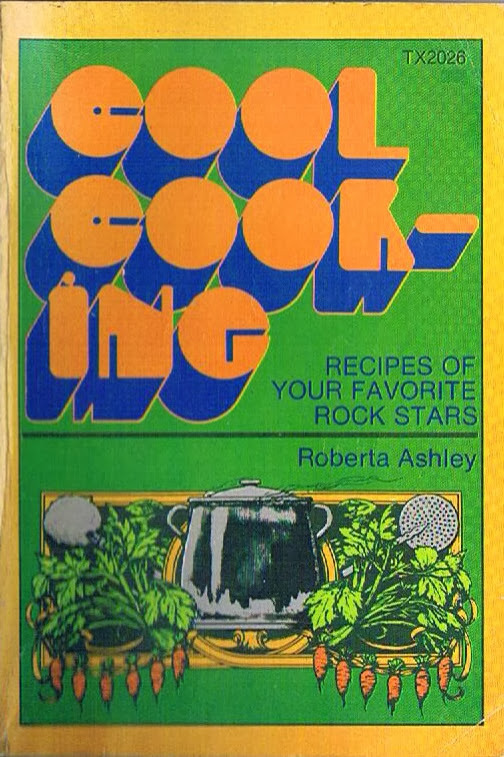 We just love these old cookbooks that are compilations of famous folk making their own food! Grab some peanut butter, flip on "oldies" channel, and rock on to Cool Cooking.